Central Stores is the City of Harrisonburg's central warehouse facility, handling a large inventory of janitorial, safety, utility and maintenance items necessary for building and maintaining the "City with the Planned Future". The 2014 annual inventory of Central Stores depicts this volume with over 173,000 items carried totaling approximately $1,374,000. 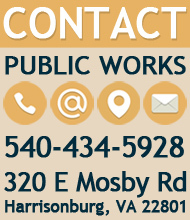 Providing a central purchasing and storage facility for the multitude of supplies and materials essential to the day to day operation for the City of Harrisonburg. Striving to purchase and stock the highest quality of materials at the lowest possible cost. Providing immediate availability of emergency repair and maintenance materials. Striving to keep costs minimal by purchasing common use items in sufficient volume to realize any available discount in the purchase price, passing it on to the various departments of the city, and ensuring the wisest possible use of tax dollars. Communicating with customers and suppliers to obtain the best quality products available, stock the materials needed most by customers/departments, and introduce new and improved materials to the appropriate customers as they become available. 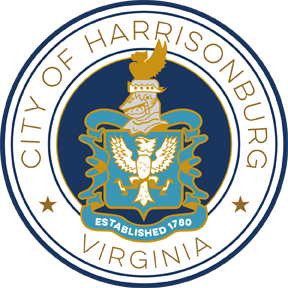 All new water and sewer materials to be considered for acceptance by the City of Harrisonburg, VA must be accompanied by a copy of the City of Harrisonburg Product Submittal Form. ALL sales calls by appointment only!